It's always easier to pass the buck. Ever since the news of Jiah Khan's suicide broke out, Aditya Pancholi's son, Suraj who was dating Jiah on and off, has been indirectly blamed for the actress taking her own life. Aditya hasn't taken too kindly to these allegations, and has a few things to say on the matter. "If Suraj is to be blamed then please make him the villain," says Aditya. In a recent blog post, writer Shobhaa De recently commented: "Like father, like son" in reference to Aditya and Suraj. Aditya is clearly unhappy. "What's Shobhaa De's problem with me and my son? What does she mean by saying, 'Like father, like son?' Let the truth come out. If Suraj has done some wrong, let it come out. But don't condemn him in your column for something he hasn't done. Everyone has children," said the hurt father. He said: "Suraj ki kya galti hai (What's Suraj's fault)? They're probably looking for a villain in this story, and Suraj has been selected as the villain of this story. If you take Raavan out of the 'Ramayan', it loses its impact. What is 'Sholay' without Gabbar Singh?" "For the last three days, I've done what I could do as a concerned father and the head of my family. Now I've the space to see what loss has Jiah's family suffered. We were there - my son Suraj and I, for the funeral. Not for a second did we think we should stay away just to avoid trouble. "Jiah and her mother (actress Rabiya Amin) are our friends. We are not going to turn our backs on them just because some questions are being asked by some people who don't know the truth and are only interested in being judgmental," he added. Aditya says his son is going through a rough time. "Suraj is very hurt and shaken. But what can he do? I know Suraj will be fine. But what about Jiah's mother and sisters? Would they ever be normal again? Looking at Suraj's grief, I am reminded of Jiah's family's grief," he said. Aditya also believes it's wrong to blame only the broken relationship between Jiah and Suraj as the reason for her suicide. "There must be other factors. Jiah bottled up all her emotions. Suraj tells me she never raised her voice. He says the maximum she ever raised her voice to say was, 'Suraj, this is not done'. "I want to request people to not try to make my son the villain. It's circumstances that played villain in Jiah's life. If that one moment when she took that drastic step had been averted, she'd still be alive," he added. 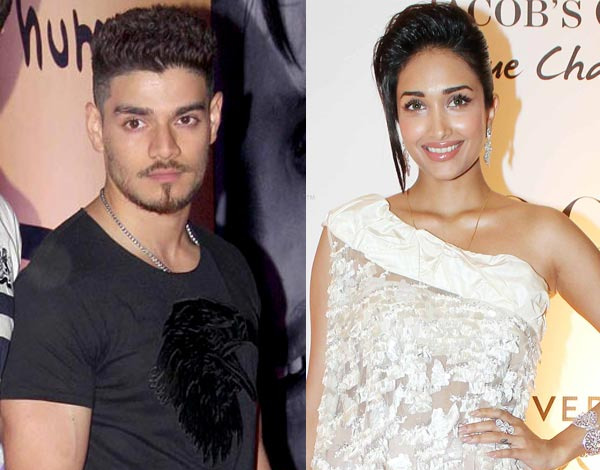 Do you think Suraj Pancholi is the reason behind Jiah Khan's decision to take her own life?